A gap in my schedule allowed for a short detour into PAFF-016. 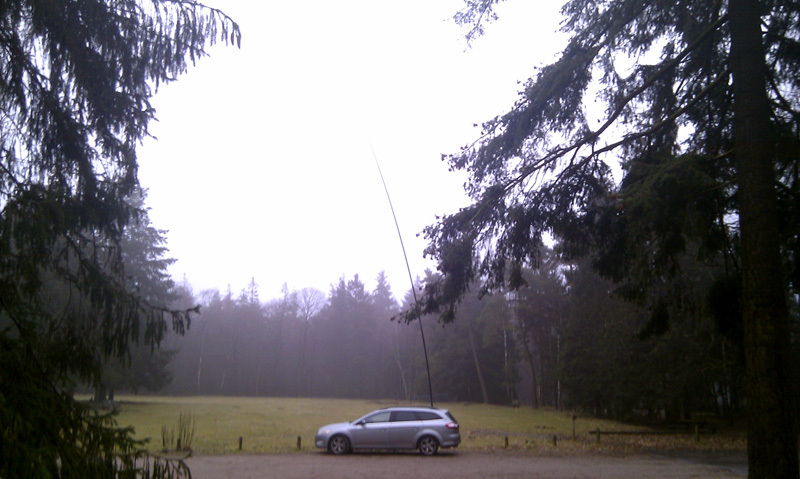 The weather was not too good for a field day with drizzle throughout the afternoon but there was no wind - a good thing for my fiber glass antenna pole. PAFF-016 is a reasonably large park with a lot of trees but also some clear areas. 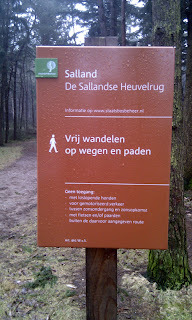 I found a suitable site quite quickly in the southern part of the park. Looking at the cluster I saw that the higher bands were very quiet so I installed my 12m long multi band end fed wire on my 15m pole focusing on 20m and 40m. Starting on 20m it turned out that conditions were indeed quite poor. I spoke to 40 OMs in 45 minutes. On 40m the situation was quite familiar: good conditions but lots of QRM and QRN. I worked 80 stations in just over one hour. At the end the interference was so strong I had to change frequency a number of times. When the QRN started to annoy me just a bit too much I went back to 20m to work another 20 stations in the last 20 minutes of my activation. All in all a nice activation that only lacked a bit of sunshine. I worked 140 stations from 29 DXCCs in just under 2,5 hours. 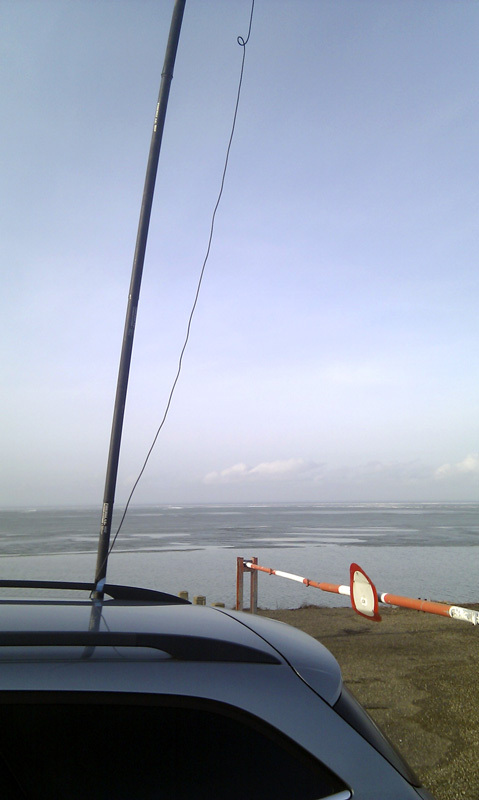 The DX traffic was limited to 6 stations outside of EU. Maximum QRB was into W1. Both Luciano I5FLN and Carlo IZ0IJC came by on both bands. One little problem surfaced during this activation: my logging software did not record the time stamps. I only found this out one hour from that start. In the mean time I have been able to update the log through email or eqsl. Thanks all for giving ur reports. 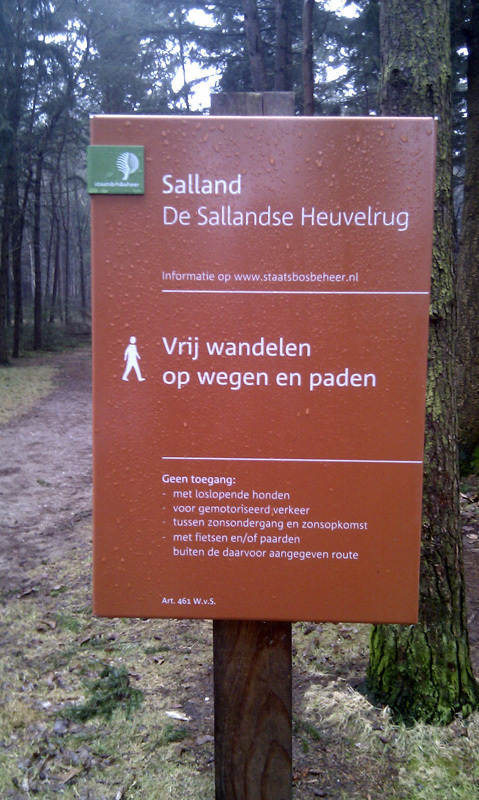 With some unexpected time on my hands and near Lelystad (just a few kilometers away from the Oostvaardersplassen) I decided to do a re-activation. 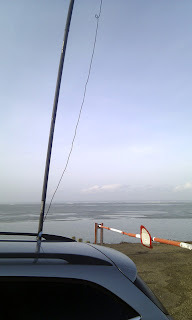 I found an open spot just next to the stretch of water of the IJsselmeer. My idea was to use this ideal operating position to do some DX-ing. However conditions were rather poor on the higher bands. Starting on 15m I made 20 contacts in 30 minutes. 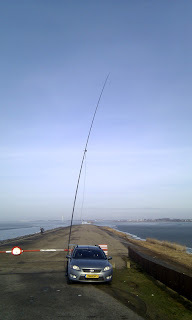 As the band was rather quiet I went down to 20m. This band was not as busy as it usually is. I made 47 contacts in 40 minutes. 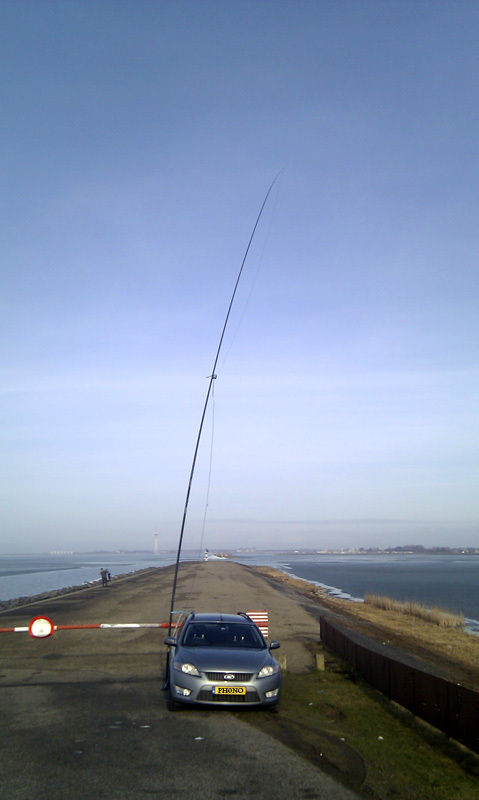 Then I went over to 40m and found a reasonably quiet spot but was seriously hampered by QRN that came by every few minutes and gave me an S8-9 wall of sound. In 90 minutes I made 105 contacts. Max QRB this time 7000km into South Carolina. Even though I had activated this area only a month earlier I made in total 170 contacts. This included some 65 OMs I have not contacted before on any WFF activation. Of course Luciano I5FLN came by on all three bands. He was the only one this time. Tnx to all passing by.